Jaguar Land Rover India has now started accepting bookings for the locally assembled version of the Range Rover Velar. Both, the petrol and diesel variants are now priced at Rs 72.47 lakh ex-showroom. The CKD Velar will be available in r-Dynamic trim. Notable features for this variant are the Touch Pro Duo twin-screen infotainment setup, an activity key, Wi-Fi and Pro Services, 380W Meridian sound system, four-zone climate control, cabin air ionisation, leather interiors, 20-inch alloys wheels with a full size spare, R-Dynamic exterior pack, adaptive dynamics, LED headlights with LED DRL and park assist among other things. The 2.0-litre four-cylinder turbo petrol in the Velar makes 250PS and 365Nm. The similar capacity diesel meanwhile puts out 180PS and 430Nm. 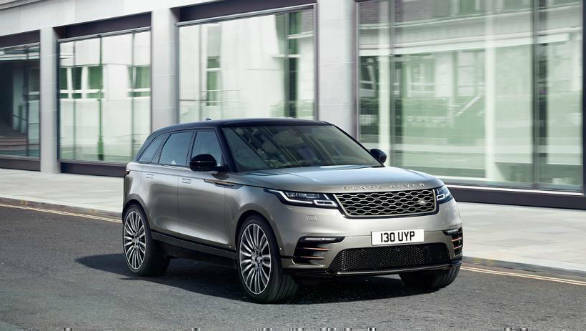 Rohit Suri, president and Managing Director, Jaguar Land Rover India Ltd. said, "We continue to focus on providing the best of British design, luxury and technology at highly competitive prices and we are sure that local manufacturing of the Range Rover Velar will make it even more desirable. This also reaffirms our commitment to the Indian market and to our customers."